i have a problem with TikZ. I'd like to draw a dynamic clipping-plane. 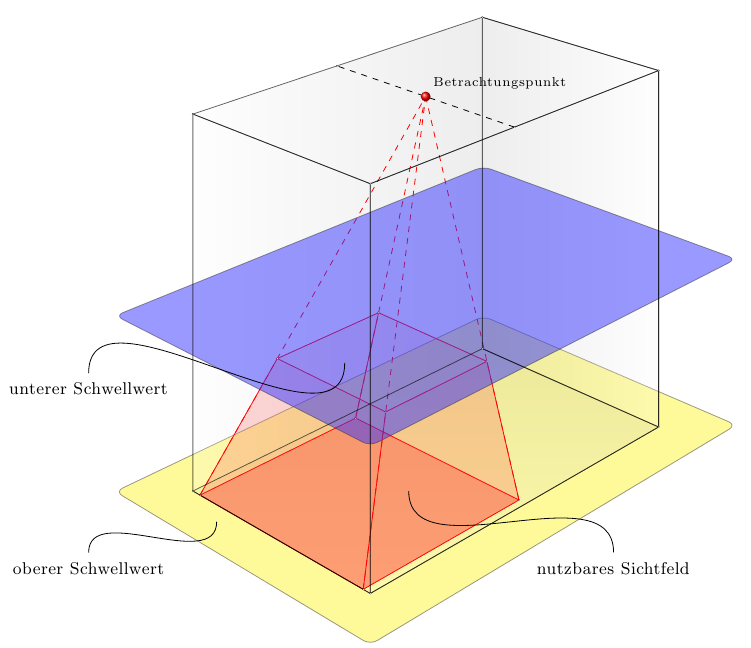 the top of the red area is dynamic, the blue one should be the same high/level but much larger dimension... to seperate optical from the red area. some ideas? Update I added another picture to make my point clear. 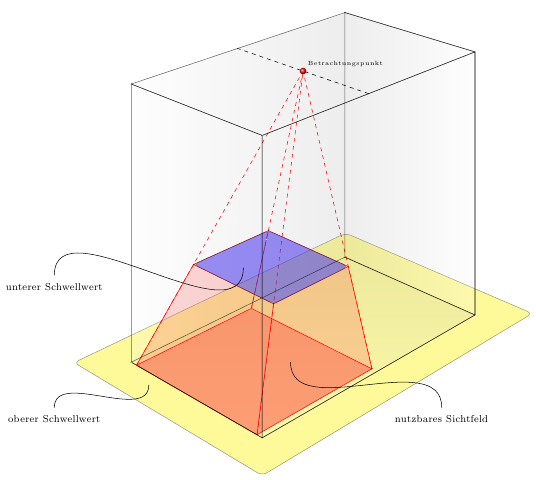 the blue square should fit perfect on top of the red frustum. 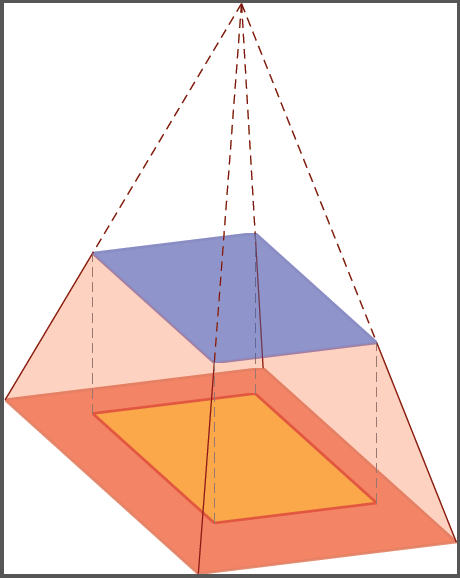 it should be dynamic, so if i change the hight of the frustum, the blue square will move as well. 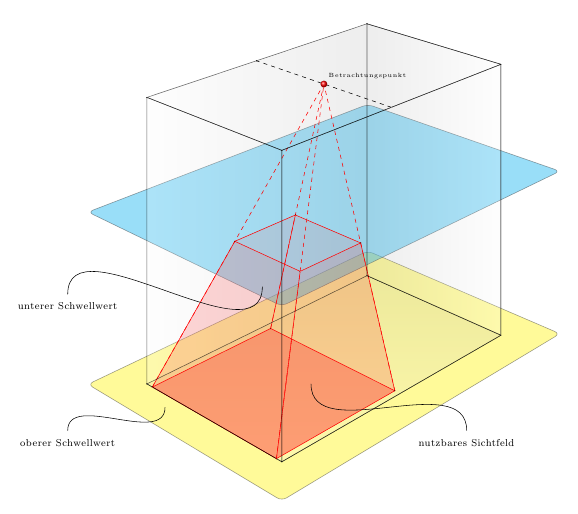 My problem is that the height of the red frustum is a part of the ray from the viewpoint to the bottom. 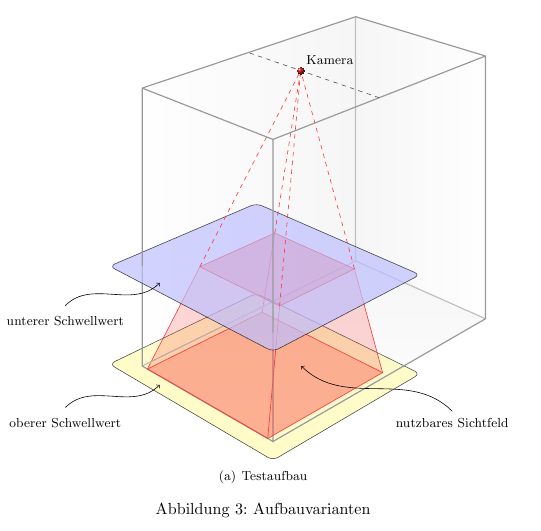 if it possible to give a parameter for height wich fit in the perspektive and the ray, that would solve the problem as well i think. 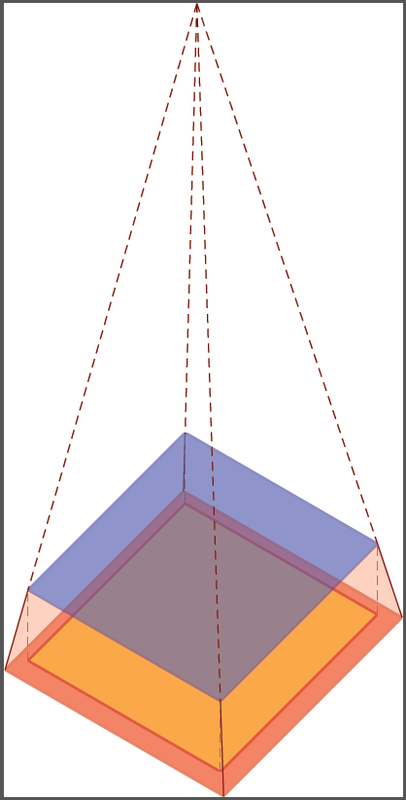 Is this what you want (changing the \projectionHeight value will move the frustum and the plane together)?